We all witnessed the grand wedding of Samantha Ruth Prabhu and Naga Chaitanya. Now, when we saw the first picture of ‘Chaysam’ post wedding, we could not help ourselves from sharing it. 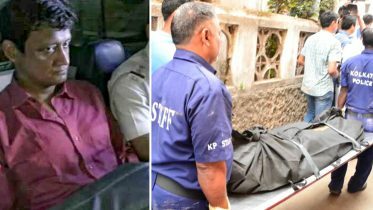 Chaitanya, the chocolate boy of Tollywood, broke many hearts when he married his sweetheart Samantha Ruth Prabhu and so did Sam. But we are happy to see this cute couple all happy together. We saw multiple clicks and videos of Samantha Ruth Prabhu and Naga Chaitanya from their two day grand event. They are not only a popular on-screen couple, but are one of the cutest couples in real life too. Sam and Chay were all smiles in the first picture that we saw, post wedding. Newlywed Samantha can be seen all glowing. The couple had a grand mehndi-sangeet function on October 6 and the same evening got married by Hindu rituals. They also had their Christian wedding on October 7. Thanks to the huge fan clubs of the actors, we also got to see the Akkineni family picture. In the photo, we see Nagarjuna, wife Amala, son Akhil with other members of the extended family, posing with the newly weds Samantha Ruth Prabhu and Naga Chaitanya. 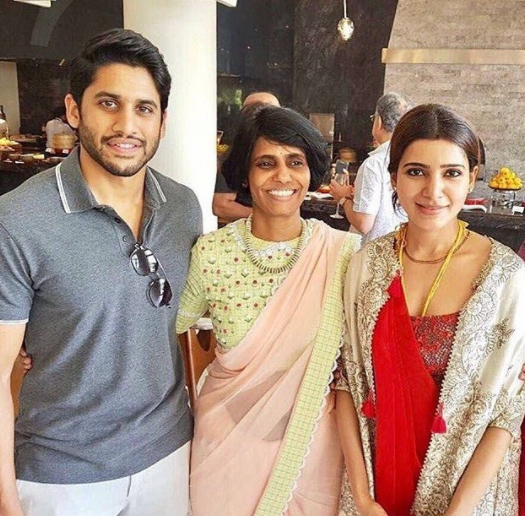 Seems that dad Nagarjuna is finally happy to have Samantha in the family picture. We again wish a happy married life to ‘Chaysam’. Be the first to comment on "Samantha Ruth Prabhu, Naga Chaitanya’s first photo post wedding out"